This is the most powerful representation of philanthropy that I have seen in more than a decade in this field. The stories, the quotes, the voices and the photographs are uniformly vivid and extraordinary….A reminder that, in its roots, philanthropy should be felt, not thought. Giving Back shines a long overdue spotlight on the legacy of giving which is so much a part of the African American community’s DNA and spirit. Writer Valaida Fullwood and photographer Charles Thomas Jr. have beautifully captured both in words and pictures untold stories of generosity which move and inspire. Giving Back should be positioned in a place of honor on the bookshelf and coffee table of every black family in America. 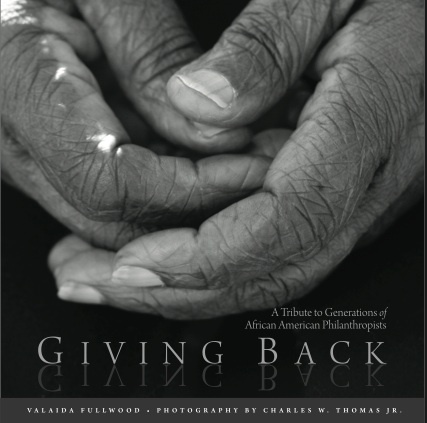 “Through a rich tapestry of voices and images, including inspirational interviews, stunning photographs, thoughtful commentary, and wide-ranging quotations, Giving Back captures the essence and generosity of African American donors as never before. No one—including the leaders of non-profit organizations—could fail to be moved and enlightened by these vivid reminders of the potential of African American philanthropy. “Astonishing . . . so beautiful, so deep and yet so inviting. “Giving Back belongs in every American home, not just every home of Americans of African descent. 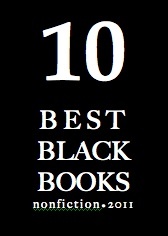 Each page connects the readers and the children they love to generosity that God, the Declaration of Independence and our awe-inspiring Black forebears taught us all. “Indescribably powerful presentation in images and words of philanthropists who understood their actions of ‘just trying to lend a hand.’ Engagingly spiritual which will energize readers yet unborn. “It’s difficult to capture into words all the emotions I felt as I read through this book. “You just never know what will generate the spark that transforms a life, a community or a people. It might be that kind, encouraging word; or maybe ‘a couple of bucks to help you get by;’ how about the time that you spent with me sharing the secrets to your success; or, the scholarship that you gave privately so I could attend summer camp. You just never know what little thing (or great thing) will provide that inspiration for another to soar to higher heights. “Never again will I frame my conversation on how African Americans give under the guise of ‘Black people give differently—our philanthropy is different because we primarily see giving through our faith.’ We give holistically! “Valaida Fullwood’s Giving Back captivated me from the cover photo where I connected with the hands—memories of my grandmother’s skin—lined with dreams deferred and the promise of aspirations and achievement. Giving Back is indeed a form of personal engagement as well as deep conversational sharing. 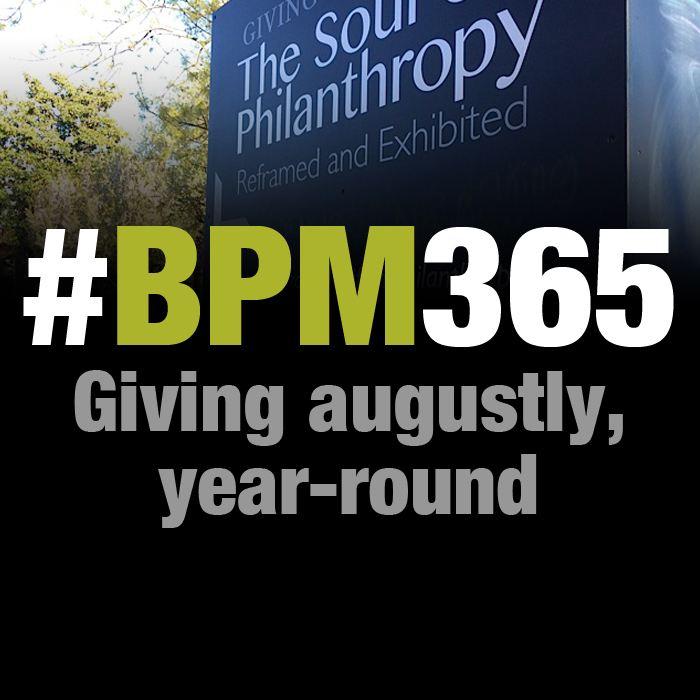 It is undeniably the missing formula to the roots of African American philanthropy. 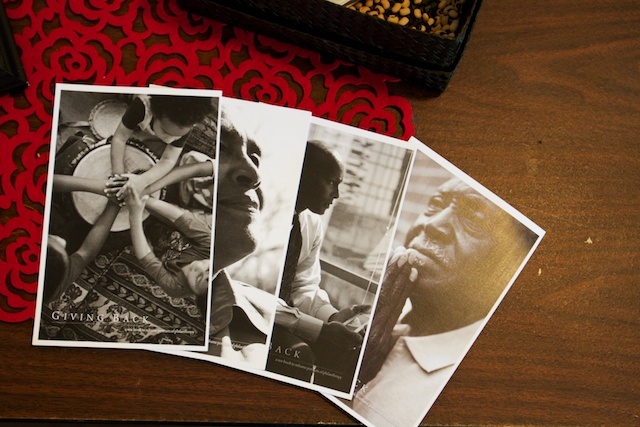 Simply stated: Giving Back, through stories of everyday people aided with photography of the moment, is poignant and more of a revelation than any article or research publication on the topic of African American giving. “Giving Back looks poignantly at the notion of giving. The meticulously edited narrative enlightens us about the idea of caring and sharing communities. From this book, one sees through Thomas’s photographs relationships marked by respect and honor. The text and photographs inform the reader about strength, in multiple perspectives. “Through the rich photographs—which are full of spirit and beauty both enhanced by the framing of the subjects—we see Thomas’s respectful eye. 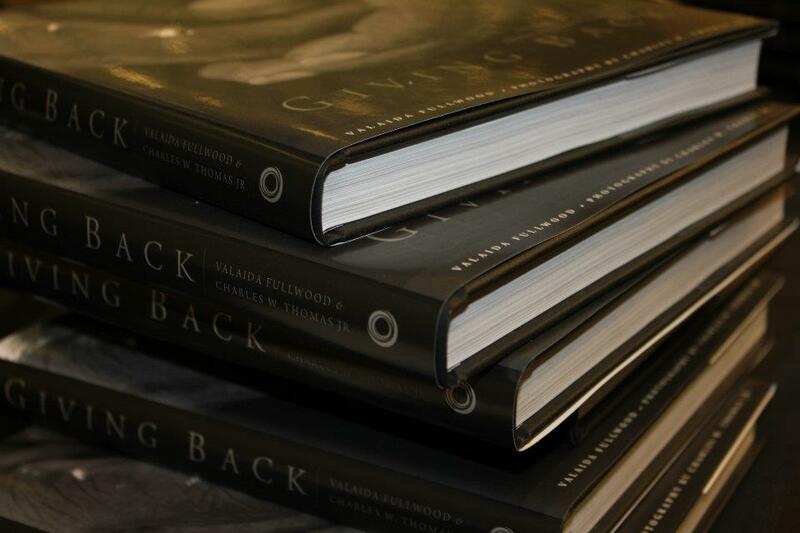 The book simply tells us that Black people care which is evidenced in the photographs and the narratives. This book is useful for anyone who is interested in philanthropy but also will be appreciated by people who have a love for portrait photography.